January 28th :Unite lead officer for Health, Kevin McAdam confirmed that his union’s members will be taking industrial action in Northern Ireland tomorrow (Thursday 29th January). “Our Senior representatives met today to consider the developments in the negotiations between the Health Unions and the English Department of Health. Our industrial committee concluded that due to the inaction of the Health Department here and their unwillingness to engage with the unions, the strike action on Thursday would go ahead. “Our members have been refused the pay review body’s recommendation of 1% from April 2014. The Department seeks to confuse incremental pay with a cost of living rise and have advised of a one percent non-consolidated increase instead. This hasn’t even been put in place by the department and our members have decided that industrial action is necessary. “Over the past years, our members in the health service have experienced cuts in service, recruitment freezes with remaining staff being asked to stretch further and further. Health workers’ pay has been eroded by fifteen per cent over the past four years while their pension contributions have increased three per cent over the last three years. “While we recognise that our action will put pressure on the management of the service and cause inconvenience for the public, the Trade unions involved, Unite and the GMB, have agreed emergency protocols to minimise serious impacts. We would stress that our argument is with the Department and the Minister. 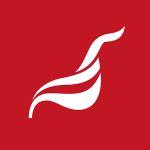 Emergency cover will be provided and assurances have been given that in the event of a major incident Unite members will respond immediately from the picket line. This entry was posted in Living Wage, Northern Ireland news, Press Releases and tagged health sector, Kevin McAdam, low pay, Northern Ireland, strike action, Unite NI. Bookmark the permalink.